Agreements are transactions that takes place between two or more parties where they come into agreement with a particular something. This agreement could be anything that is related to business, such as the sale of property, renting or leasing equipment, etc. There are absolutely different kinds of agreements that are being used today. 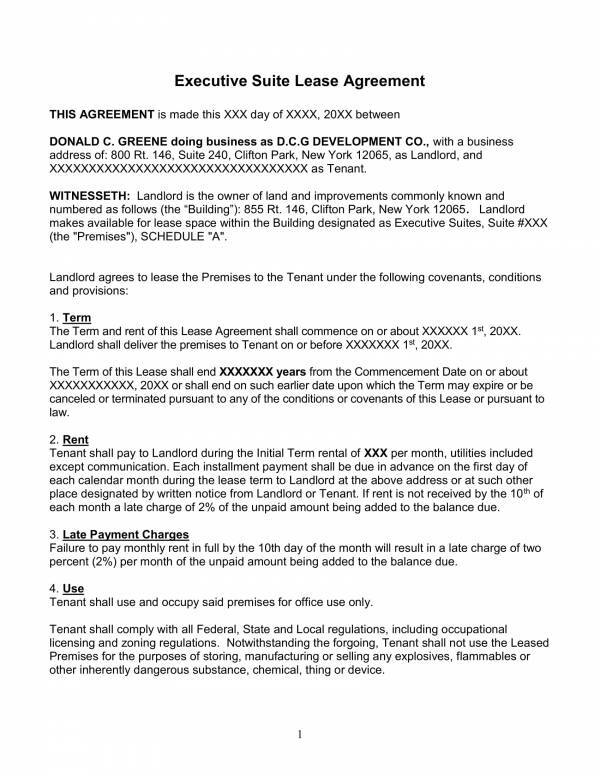 The one that we will be covering in this article is all about an office lease agreement. We will be defining what it is, what are its uses and what things to include in it. There are also agreement templates provided as reference. Check them out below. 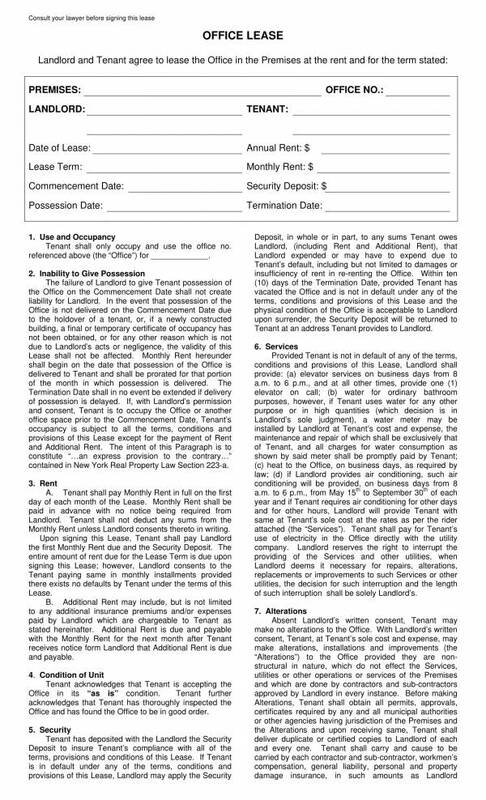 What Is an Office Lease Agreement? 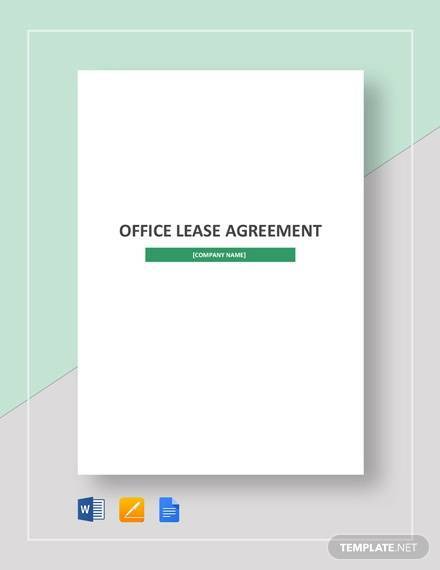 An office lease agreement is an agreement between two or more parties which is about the long-term use of an office property which is for lease. The parties involved in the agreement is the owner or the landlord of the office that is for lease and the tenant who wishes to use the office for a specific payment amount. The agreement covers details about who the two parties are, the terms and conditions that govern the entire transaction, the limitations of the lease, payment arrangements, required notices, qualifications for leasing, etc. 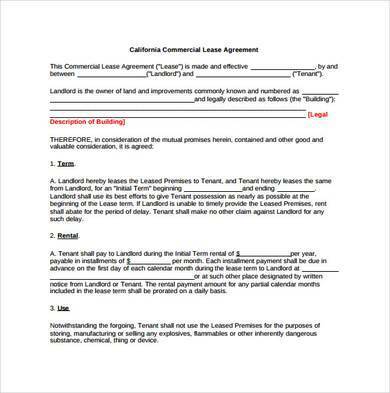 It is important for an leasing businesses to have a commercial agreement such an office lease agreement in place. 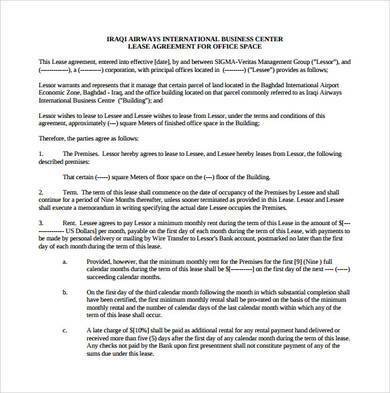 This is because the agreement is a requirement for running the businesses legally and serves as a guide on how the business should be managed based on the agreed terms. 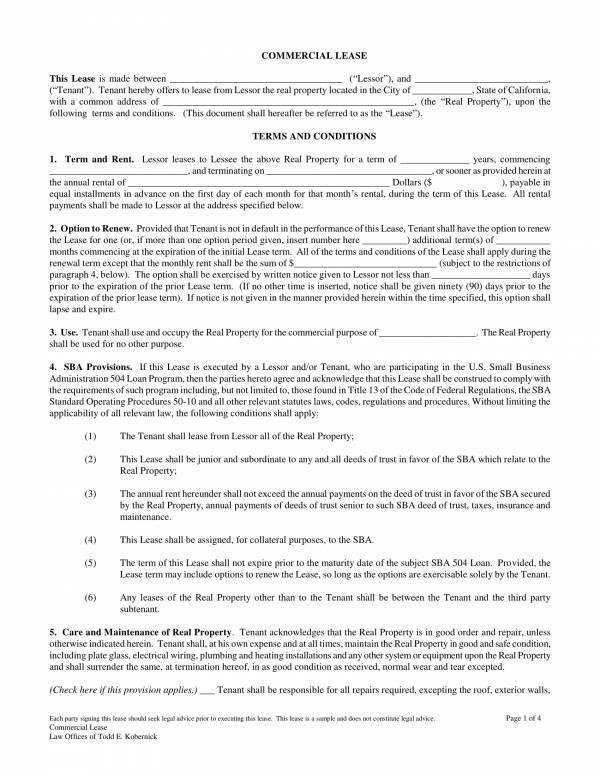 Since lease agreements are also long term-agreements that spans from 6 months to a year or longer, using one will prove beneficial to the business as it will serve not only as proof of the transaction, but also as a reference for the landlord and the tenant to review if they need to clarify certain details or provisions. It is a must for anyone who plans on starting a leasing business to know about the type of agreement to use as well as the details that they must include in it. You can find out more about agreements on articles, like Sample Room Rental Agreement Templates, Agreement Termination Letter Samples and Templates, and Indemnity Agreement Samples and Templates which you can find on our website. 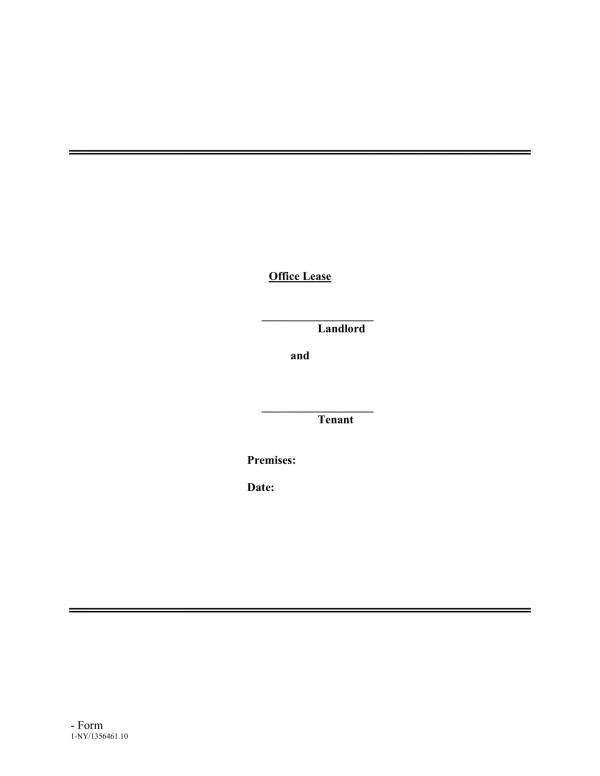 Uses of a Lease Agreement? One of the many ways to know more about something and to really understand that something is to find out what they are used for. 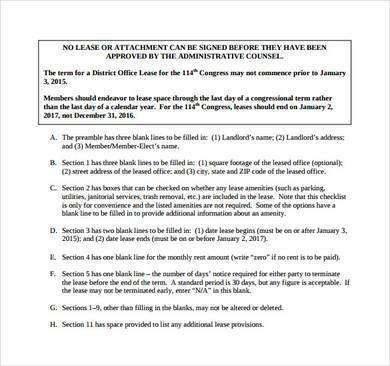 So in order to help you learn and understand lease agreements, here are some of its uses. 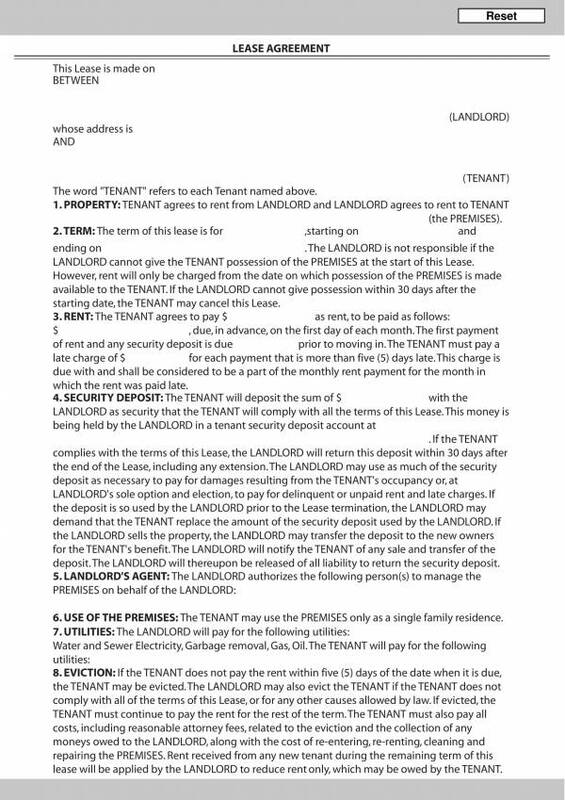 A lease agreement is used to bind a landlord and a tenant to terms and conditions that they have agreed on so that they will be obliged to follow them all times. The detailed provision of the lease is written and recorded in a lease agreement making it a reference of the things that has been discussed and agreed on in the transaction. This includes the duties and responsibilities of each party, the limitations on what they are allowed to do, the length of the lease, and so on. It is used to record the details of the payment terms and conditions, which includes the amount to be paid, the frequency of payment, the mode of payment, advance deposit, security, deposit and the taxes and fees that each party needs to cover. A long-term transaction such as a lease must be recorded and documented and what best way to get proof is through the written lease agreement. It can be used as an evidence in court or any legal proceedings as necessary. The lease agreement is where you can also find the list of breaches or violations that any party may commit while the agreement is still ongoing or even after the agreement has ended. A detailed description of each violation is provided as well as the details on how it can be remedied. It is used as a form of consent where the signature of all the parties involved are affixed. This signifies that they give their consent in being part of the agreement. The effective date and renewal date of the lease is specified in the agreement. 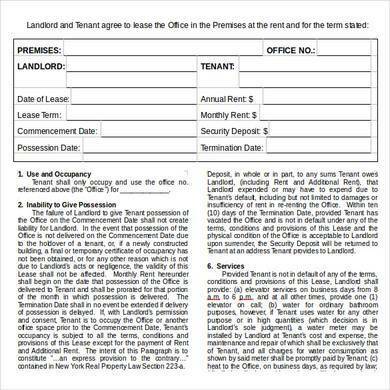 Having a lease agreement in place helps keep tenants and landlords feel at ease with doing business with each other. It also give them a feeling of security about doing the business. Agreements, regardless of what type of business it is being used on, are very important. Often, the credibility and reliability of the business is measured through their agreement they produce and the provisions in it. Of course, nobody wants to be in trouble because of being involved in a faulty agreement that they could have avoided. If you wish to know more about leases and agreements, you may find articles like Marketing Agreement Samples and Templates, OEM Distribution and License Agreement Samples & Templates, and Terms of Service Agreement Samples & Templates interesting. What Things Are Included in a Lease Agreement? 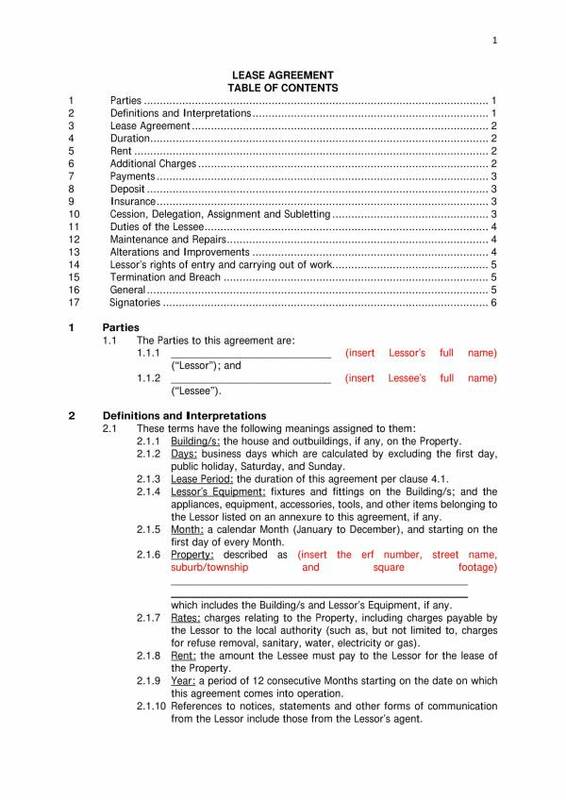 A lot of things can be seen in a lease agreement and all other types of agreement. The contents vary depending on the purpose, specific preference of each party, the laws governing them and many more. But there really is no need to memorize all of those difference. You just need to be familiar with them and you can start with the components or parts that are common to every agreement. General information about the tenant and the landlord, which includes their complete names, business address, contact details, etc. Being familiar the components and details of an agreement will help you identify if you are getting yourself into the right agreement that is reliable and trouble free. To be familiar with these components, you will need the help of agreement templates which you can find on our website. To name a few titles where you can find them are Enterprise Agreement Samples and Templates, Partnership Agreement Short Form Samples and Templates, and Drug Testing Consent Agreement Samples and Templates. Agreements come in a variety of types, but there are two commonly known types that differentiates one agreement from another. They are verbal and written agreements. Verbal agreements are those agreements that are said, discussed and a green on by the parties involved. It is often seen as a promise, like making a promise to meet on Christmas, or a promise to buy a gift for a friend. It is not recorded or documented so there are no documents produced with a verbal agreement. The parties involved here hold on to each others promise to commit to the agreement. it is often used for simple transactions or friendly transactions, that does not necessarily involve money or need to be done for a long period of time. However, it can still be used in business transaction related to the sale of things, like the promise to buy the bicycle from a shop. 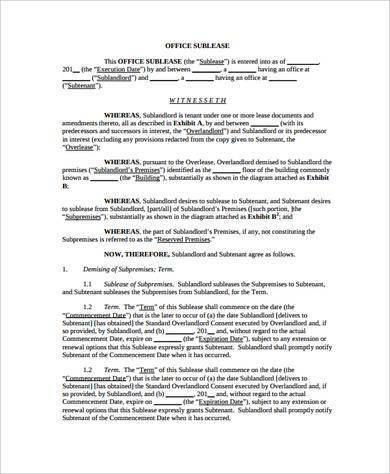 The transaction that took place is recorded and documented in a written agreement. This is primarily the reason why it is the more preferred type of agreement. Since a document is produced for the transaction, it is ideal for business transactions that lasts for a long time and the document produced will serve as reference of both parties to refresh their memories about the agreement details. If any issues or problems arise, it can also be used as basis for fixing the problem, or as evidence in court proceedings if there is a need to bring the issue or problem in court. The names and signatures of all the parties involved in the agreement are written on it which binds them to the agreement and shows proof that they gave their consent to be part of the agreement. It is important to know of these types of agreements as it will help you decide the appropriate agreement to use for a particular transaction. If you know the right type of agreement, then you can guarantee a smooth transaction. You may check out other related agreement templates on our website, like Shareholders Agreement Samples and Templates, Outsourcing Services Agreement Templates, Confidentiality Agreement for Consultants. 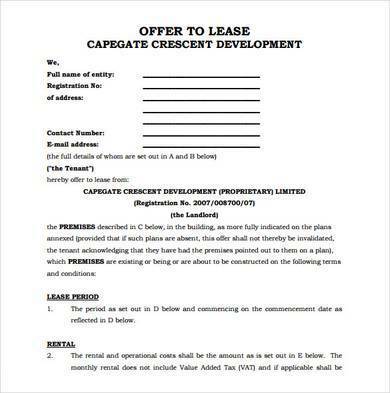 Why should you use lease agreements templates? Templates are as useful as agreements as they offer a lot of advantages to whoever uses the tool. Want to know what these advantages are? Well, check them out below. Time saver – There is no better way to save time in making an agreement than with the use of a lease agreement template. With this tool you no longer need to recreate the same document right from the formatting down to its contents. You can skip that part and go directly to filling in the required details of the agreement. If that doesn’t save you time, then what would? Easy and convenient to use – No need to undergo training or get lessons to be able to use the template. If you know how to fill in the blanks, then you will be able to use it. It’s that easy. Plus, there are instructions provided to help you determine what type of information to include. Editable and printable – If there are changes to the document that you want o make it can be done. If you need to remove something or revise the entire document it can be done. That is how convenient the template is. This is to ensure that you are able to get the best out of it. Available online – You also don’t have to worry about having trouble finding the template as they can easily be found and downloaded online. There is no need for you to scan through books and all that stuff. Free – Worried that it may cost you a fortune? Well, you shouldn’t! A lot of websites offer the template for free and if the template you want to use is not free then there is still no need for you to worry. It is because they only come with a small fee that will definitely not hurt your budget. Complete and detailed – These templates were made and used by a lot of professionals who want to share their expertise and knowledge so you can rest assured that the agreement templates are completed and detailed. 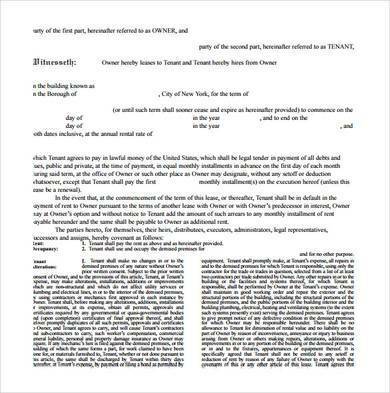 Available in different varieties and file formats – If you need an agreement template in a specific format, you can find that online. If there are many varieties that you can choose from, there are also different file types available for those different varieties. Reference – Making your own agreement template? 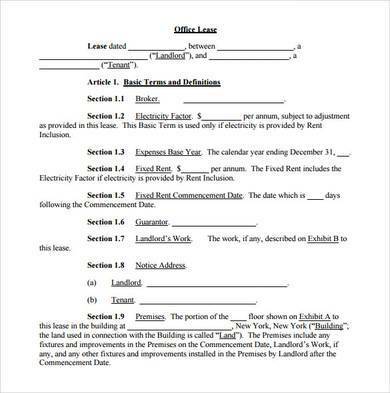 You can still use an agreement template to help you out with all the details to include as well as how to properly format the document. For more about agreement templates and other templates in general, just visit our website. Examples of the articles that we have available are Sample Apartment Rental Agreement Template, Compensation Agreement Template, and Agreement of Transfer Templates.